Set in Rome A.D. 67, Martinian (Laurence Fuller) a jailer at the ancient Mamertine Prison, takes custody of a famous criminal. He is Simon Peter of Galilee – apostle, disciple and personal friend of Jesus, also called the Christ. Condemned to death, the elderly Peter (Oscar- Nominated actor Robert Loggia) recounts his life as a simple fisherman who became one of the boldest figures in all of Christianity. As Peter prepares to depart this earthly life, he will make an unforgettable impression on his jailer. Risking death Martinian converts to Christianity, later becoming the martyr Saint Martinian. 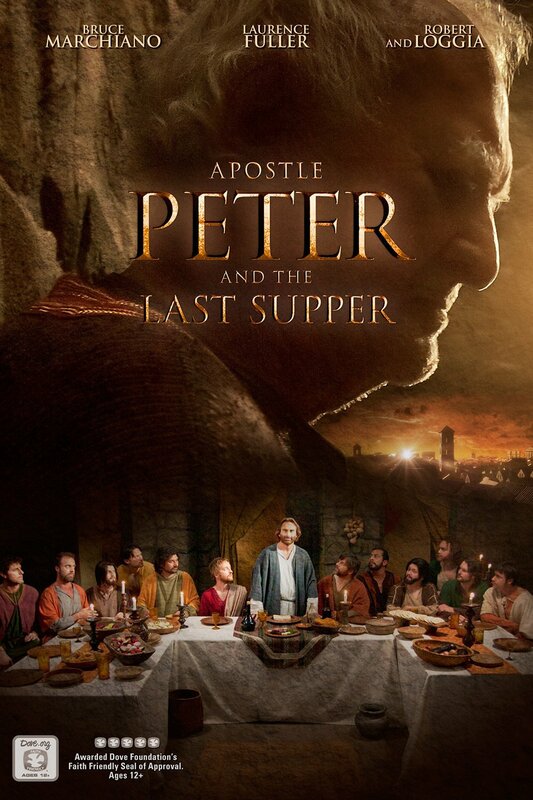 "Apostle Peter & The Last Supper" reached Netflix top ten most viewed in the week of its release. Apostle Peter continues to air regularly on Christian Networks, DVD and VOD worldwide. Produced by Pureflix (God's Not Dead). The first draft that I read when they called me in to audition was initially a full 90 minutes of the Last Supper of Jesus Christ. The casting director Billy Damota initially brought me in for a much smaller role, it was one of the apostles that I think was actually cut from the final draft, the piece was a monolog, a moral dilemma. Jesus had just told his 12 disciples that one of them was about to betray him, of course we know in hindsight it was Judas, but the narrative explores what was going on in the minds of the apostles in that moment, their doubts and insecurities, as they wrestled with their humanity. I remember the final line was “is it me lord?” as in, is it me that betrays you? As I was walking out the audition the casting associate Dea Vise stopped me and said ‘wait Laurence, there’s another role they wanted you to read for', she then handed me a 20 pages script titled The Fisherman about a Roman soldier talking to an older apostle as he is progressively converted to Christianity. They gave me an hour to read over the script, then they brought me back in to read for the director Gabe Sabloff who was the mastermind behind all this. A week later I got a call from my agent saying ‘you’ve got the part’, it was one of the most exciting moments of my life. 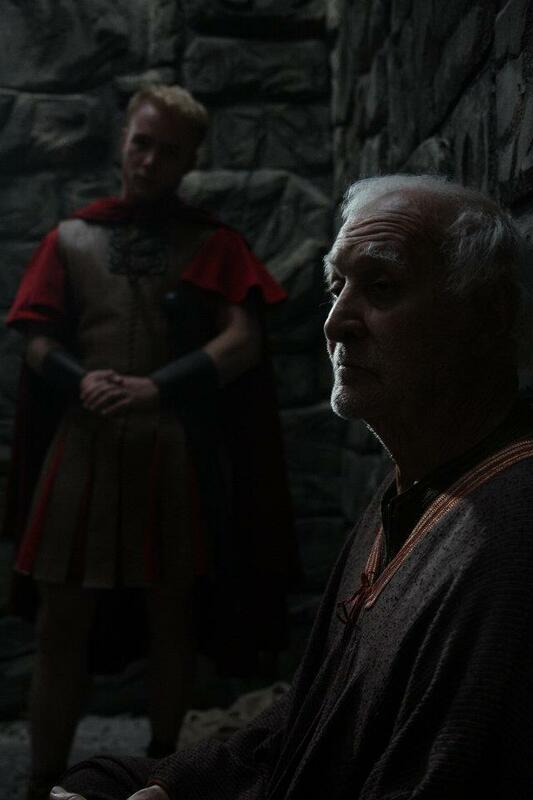 Casting Director, Dea Vise; "Laurence Fuller was reading to play a Roman guard. He had a few lines and was basically just in a few scenes as the story was originally about Peter at the Last Supper with Jesus and the Apostles. Well, Laurence came in the room, read his few lines so thoughtfully and with such brilliance that he got the job to play the guard watching over Apostle Peter (played by Robert Loggia) while he was in prison. As a matter of fact, Laurence was SO GOOD that they rewrote the movie to be about the relationship between the guard and Peter. So, the names above the title in the movie are now Robert Loggia and Laurence Fuller and, of course, Jesus was played by Bruce Marciano. Three names above the title and one of them started out with a few lines. Be that good. Be that interesting to watch! Break a leg out there!" What was it like working with director Gabriel Sabloff? Gabe did an amazing job. 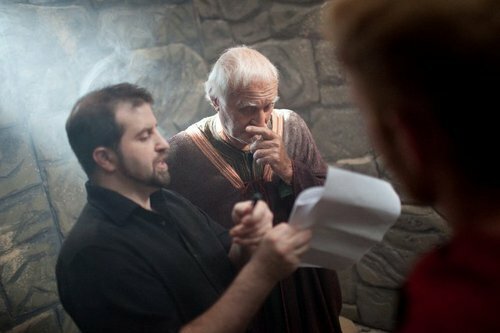 He was coming at this project from a unique point of view as a seasoned horror director, tackling faith based subject matter. That's why there's this dark element to it with the likes of Bill Oberst playing Satan. Also the logistics were very challenging, we shot all my scenes with Robert Loggia in two days and all my coverage in general in 4 days, thats about an hour of screen time in 4 days. Gabe was incredibly cool and collected considering that pressure, which allowed us all to relax and give our best work, and because there was only time for one or two takes per shot, we went by our gut. What was your preparation for the role? I found out they’d written this part for a much older actor, they said someone like Malcolm McDowell. My solution, was to have the swagger, experience, worldiness of an older man, who was a general in the Roman army. And yet Martinian was an intelligent and soulful man, philosophical and conflicted in a world of battle hardened war mongers. In a way he was a radical in Rome, a man who went against the grain. Unfortunately the penalty for thinking differently in Rome at the time was to be tortured to death, thankfully we've moved on. But Martinian knew the consequences of believing in Christianity in fact he was being converted by a man who was being sentenced to death, yet he stood for something, he could not deny what he felt intuitively deep down, and in the end he payed the price for his beliefs. Initially when Martinian goes in to meet Apostle Peter, he laughs at the idea of faith and Christianity but as the scenes progresses you see this is really just fear disguising itself with cockiness. As the story progresses I succumb to the conviction that there is a life after death and that Jesus sacrificed himself for all our sins. I have eclectic spiritual tastes.